Adam Sandler will return home on July 19 when he serves as the 25th Anniversary Grand Marshal for the NASCAR Sprint Cup Series race at New Hampshire Motor Speedway. 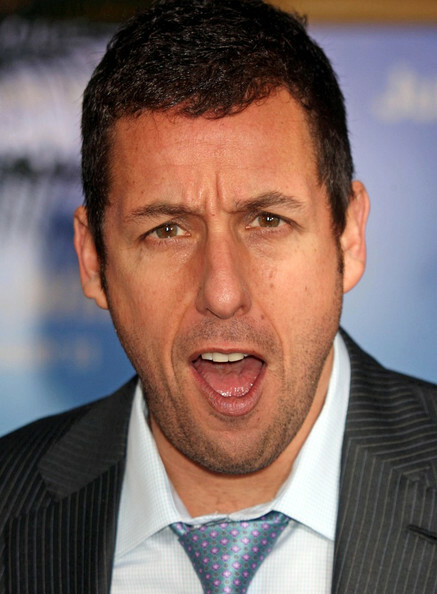 Sandler, a native of Manchester, N.H., will star in this summer’s action comedy “Pixels”, which will hit theaters July 24. New Hampshire Motor Speedway officials made the announcement Wednesday night, in front of fans and media at the speedway’s 25th anniversary event with fellow New Englander and Sprint Cup Series driver Joey Logano. Sandler will participate in driver introductions on the Magic Mile frontstretch and attend the NASCAR Sprint Cup Series drivers meeting prior to giving the command for drivers to start their engines, moments before the running of the New Hampshire 301. Adam Sandler, who hails from Manchester and graduated from Central High School, has enjoyed phenomenal success as an actor, writer, producer and musician. This year, Sandler will star in and produce two films for Sony Pictures: “Pixels”, for director Chris Columbus, starring alongside Peter Dinklage, Josh Gad and Kevin James, and “Hotel Transylvania 2”, where he will once again lend his voice to Dracula. To see Sandler at the New Hampshire 301, or for more details and ticket information on other events at New Hampshire Motor Speedway including the September SYLVANIA 300, stop by the track’s Ticket Office, visit the speedway website at www.nhms.com, or call theTicket Hotline at (603) 783-4931. The week of the NASCAR Sprint Cup Series Bojangles’ Southern 500 -- August 31 through September 6 -- has been named “Darlington Raceway Week, a Week Too Tough To Tame” after the South Carolina Senate and House of Representatives passed a concurrent resolution. The famed track’s 66-year history is a major reason that the South Carolina Senate and House of Representatives passed the resolution, led by state Senator Gerald Malloy, D-Hartsville. The Bojangles’ Southern 500 returns to Darlington Raceway on its traditional Labor Day weekend this season, after hosting NASCAR events on the holiday weekend from 1950-2003. That return has brought a renewed level of excitement to the state; one that is being embraced by the community and its government leaders. Racing action begins on Friday, Sept. 4, with NASCAR XFINITY and Sprint Cup Series practices from 12:30 p.m. – 6 p.m. The track is opening the grandstands to fans for just $5. Saturday, Sept. 5, features a full day of on-track activity scheduled including qualifying for the Sprint Cup and XFINITY Series. The day will conclude with the XFINITY Series VFW Sport Clips Help A Hero 200 at 3:30 p.m. on NBC. Sunday, Sept. 6, the Bojangles’ Southern 500 will take the green-flag at 7 p.m. on NBC with NASCAR’s biggest stars battling for the Johnny Mantz Bojangles’ Southern 500 trophy under the lights at the track Too Tough To Tame. The United States Department of Justice announced a 47-count indictment today, charging 14 high-level figures from the world of soccer -- including multiple officials of FIFA, the sport’s global governing body -- with racketeering, bribery, money laundering and fraud. The indictment includes allegations of kickbacks to FIFA officials by companies involved in the marketing arm of the sport, bribes and kickbacks surrounding the 2011 FIFA presidential election and the selection of a host country for the 2010 World Cup tournament. Swiss officials have also begun criminal investigations based on similar allegations of mismanagement and money laundering associated with the 2018 World Cup in Russia and the 2022 World Cup in Qatar. What does this have to do with NASCAR? But in an era where some observers of our sport see bias in the running of the sport and inconsistency in the assessment of penalties, the unfolding FIFA scandal provides a valuable example of how quickly such chicanery can go horribly, irreversibly wrong. Over the years, a small number of conspiracy theorists have accused NASCAR of attempting to influence the outcome of both individual races and season championships. Stories have long circulated of teams receiving “the call” from NASCAR’s Daytona Beach headquarters, giving them carte blanche to work outside the rules the following week, without fear of detection or reprisal. No competitor – former or present -- has ever stepped forward to say they received such a call, but the rumors survive, nonetheless. Today, we learned why NASCAR cannot afford to play fast and loose with the rules. With today’s indictments, the sport of soccer begins what will almost certainly be a lengthy battle for its collective life. If FIFA is willing to sell its marketing rights under the table and award its World Cup Tournaments to the highest illicit bidder, it’s a short stretch to manipulating actual on-field results. If the people at the top are willing to line their pockets by selling the very integrity of the sport, what's to stop them from selling a bogus offside call to a team owner with more money than brains? Watch what happens to the sport of soccer in the coming weeks and months. Like Major League Baseball in the steroid era, legitimate questions will be raised regarding the integrity of the sport. The answers to those questions will almost certainly be ugly, and the sport may never be the same. As you watch that ugliness unfold, ask yourself why the people who run our sport would ever risk putting themselves on the firing line in that manner. Consider what there is to lose, and what could possibly be gained. NASCAR is a multi-billion dollar industry, and the people who call the shots from those Daytona Beach offices have enriched themselves greatly – and legally -- while manning the helm. All it would take is a single allegation of FIFA-esque wrongdoing, manipulation or corruption to bring this sport – not to its knees – but to an end. One thrown race, one instance of “looking the other way” during a post-race technical inspection and you can say goodbye to NASCAR as we know it. Around the bowl and down the hole. Just like that. NASCAR is a legitimate sport with legitimate weekly contests, decided fairly on the field of battle. Mess with that equation just once and watch the sport spiral downward into the same maelstrom of controversy that will shortly envelope international soccer. Within the next 12-24 months, men and women at the uppermost levels of "the beautiful game" will face the unsettling prospect of hard jail time, while their sport is torn asunder by a controversy of their own making. If you think Major League Baseball suffered from fan backlash during the steroid era, just wait and see the reaction of the worldwide sporting community to this FIFA scandal. 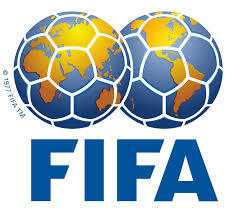 There are dark days ahead for the sport of soccer, and it will not be pleasant to watch unfold. If somehow, after everything that came down today, you somehow still think that NASCAR would finagle the outcome of next week’s race, enforce the rules a little differently from team to team, or stack the deck in an attempt to allow the “right” driver to win the 2015 championship, think again. Think about the men and women who run this sport, and how much they stand to lose by dealing cards off the bottom of the deck. Think about how quickly NASCAR could turn into FIFA, and how quickly a scandal of this variety could bring the sport we love to a horrible, crashing end. The No. 1 Chip Ganassi Racing with Felix Sabates team has been penalized for an infraction during pre-qualifying inspection May 21. The right rear quarter panel wheel opening was modified after qualifying inspection. That infraction is a P2 level penalty and as a result, crew chief Matt McCall has been placed on NASCAR probation through Dec. 31. Two other operations – the No. 48 Hendrick Motorsports and No. 51 HScott Motorsports teams – have been assessed P1 penalties for receiving written warnings in two consecutive events. The No. 48 team received a warning from the May 16 event at Charlotte Motor Speedway and another in pre-qualifying inspection last weekend. The No. 51 team also received written warnings for the May 16 event, and last weekend. As a result of these infractions, the No. 48 and No. 51 teams will receive the last two choices in the pit selection process this weekend at Dover International Speedway. HScott Motorsports with Chip Ganassi announced today that road-course veteran Justin Marks will be behind the wheel of the No. 42 Chevrolet Camaro for two NASCAR XFINITY Series events this season. He will compete for HSMCG at Mid-Ohio Sports Car Course in Lexington, Ohio on Aug. 16 and Road America in Elkhart Lake, Wisc. on Aug. 29. 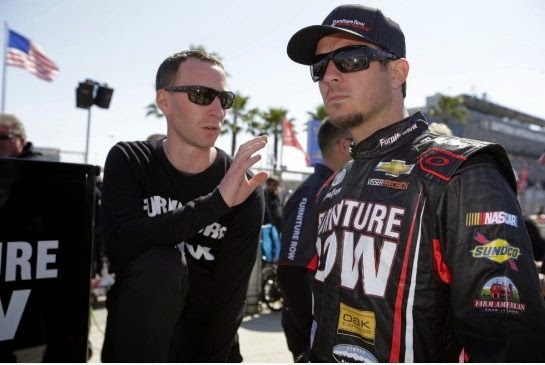 Marks, 34, has competed in many forms of road-course racing as well as in all three of NASCAR’s national series, the NASCAR Sprint Cup, XFINITY and NASCAR Camping World Truck Series. He was also part of the winning team in the 2009 Rolex 24 At Daytona in the GT division of the TUDOR United Sports Car Championship. An accomplished entrepreneur, Marks is the owner of The Drylake Group, a sports and entertainment development company, GoPro Motorplex and KartSport North America. In 2014, Marks partnered with NSCS driver Kyle Larson to form Larson Marks Racing, a World of Outlaws sprint car team. In 2015, Marks teamed up with HSMCG owner Harry Scott Jr. to form HScott Motorsports with Justin Marks, fielding five cars in the NASCAR K&N Pro Series East. Marks competed at both Road America and Mid-Ohio in 2014 and scored his XFINITY Series best career finish, coming home in sixth place at Mid-Ohio. 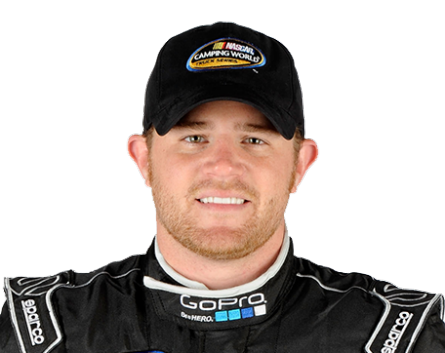 "I am very excited to return to the XFINITY Series with HScott Motorsports with Chip Ganassi,” said Marks. “They have great people, great equipment and display great effort every time they're on the track. 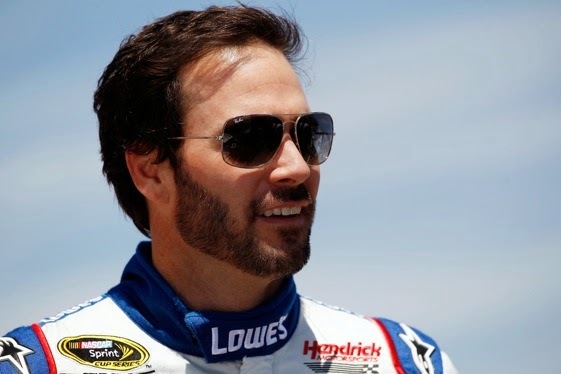 I really love road-course racing and look forward to this great opportunity." "It's always going to exist in racing..."
Kevin Harvick knows the way to Victory Lane at virtually every track on the NASCAR Sprint Cup Series circuit. Apparently, he also has a pretty firm command of the laws of physics. Last week at Charlotte Motor Speedway, Harvick was asked for his opinion on the topic of “aero push” and its impact on competition. His response was perhaps the most insightful, realistic and non-histrionic in recent memory, and set – at long last – a reasonable bar of expectation for the future of the sport. “Let’s clarify ‘aero push,’ said Harvick. “Does anybody watch Formula One? It’s been there for years. It’s in Indy Cars. It’s in (all of) racing. If you run behind one of your colleagues… you’re going to have aero push. Harvick, of course, is correct. Whether racing modern-day Sprint Cup Series stock cars, their lumbering behemoth predecessors from the 1960s and `70s, aerodynamics have always played a recognizable role in the sport. We just didn’t know what to call them. NASCAR Hall Of Famer Junior Johnson is widely credited with discovering the concept of drafting, while attempting to manhandle a boxy, underpowered, year-old Chevrolet around the 2.5-mile Daytona International Speedway in 1960. "When Cotton Owens came by me, I ducked in behind him coming off the fourth turn," said Johnson in a 2010 interview with reporter Ed Hinton. “When I got down in the first turn, I was running all over him at about half throttle. Despite having only a grade-school education, Johnson knew a big advantage when he felt it. He used his newfound knowledge of aerodynamics throughout the second annual running of the Daytona 500, drafting off faster cars and gaining more than 15 mph over what his car could manage by itself. The tactic allowed him to win the race with a car that – left to its own devices – should have struggled to run in the Top-10. "Basically I stole the race,” he admitted years later. “I didn't win it." Since that fateful day in 1960, drafting and aerodynamics have been a crucial – and much discussed – part of NASCAR racing. Over time, teams have learned to massage their cars to maximum the benefits of drafting, eventually reaching a point where bodies looked more like boomerangs than automobiles. Lynda Petty, late wife of Hall Of Famer Richard Petty, once asked crewmembers why they were loading a crashed race car into their team transporter. NASCAR called a halt to the aero wars a few years ago, mandating body styles that maintain brand identity while blowing identical numbers in the wind tunnel. And NASCAR teams immediately began tinkering with those bodies (as NASCAR teams will do), tugging the fender skirts and pulling on wheel wells to increase aerodynamic stability and downforce, after passing through pre-race inspection. As NASCAR’s reliance on aerodynamics has increased, competition has suffered. These days, drivers can pass anyone on the race track, except the leader. 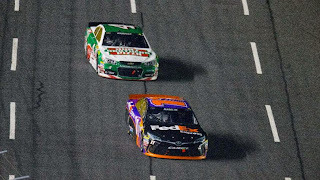 In this month’s NASCAR Sprint All-Star Race at Charlotte Motor Speedway, Harvick started 25th in a 25-lap segment and slashed his way through the field, all the way to rear bumper of the leader. Harvick’s charge ended there, however, as the aerodynamic advantage enjoyed by that leader kept Harvick’s clearly-faster race car safely in the rear view mirror. A similar situation occurred in the race’s final, 10-race Sprint, when Harvick ran down leader Denny Hamlin from 15 car lengths back in just five laps. Hamlin thwarted Harvick’s charge simply by moving up the race track and “taking the air” off the nose of Harvick’s onrushing Chevrolet, gaining 10 car lengths almost instantly and driving away to a $1.1 million payday. 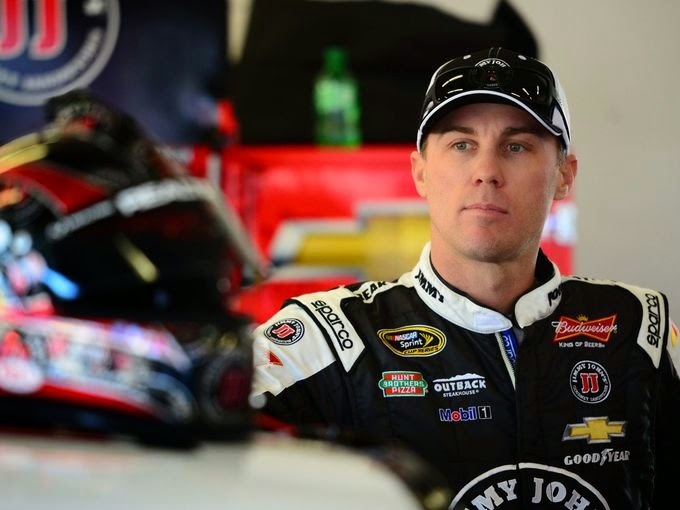 “These cars, over the last 20 years, have become more sensitive in aero push,” said Harvick last week. “In the ‘70s and ‘80s, it was probably there. They just didn’t know it. Kevin, you have never been more right. Aerodynamics isn’t going anywhere. NASCAR’s vast corps of pit road engineers is not about to toss those high-dollar university degrees in the dumpster and forget what they know. The wind tunnels, pulldown rigs and seven-post machines that dot the sport’s landscapes these days are not going to be pushed into a dusty back corner of the race show and covered with a blue tarp. The sport will continue to evolve – rather than de-volve – leaving NASCAR with little choice but to try and rein-in the evolutionary process, while simultaneously searching for a way to lessen the impact of a phenomenon that will never truly be eradicated from the sport. Unless the laws of physics are repealed, NASCAR will never completely eradicate the term “aero push” from our vocabulary. To some degree or another, the lead car will always be the fastest car. How much of an advantage that leader enjoys, however, remains to be seen. Rules can be massaged to minimize the aerodynamic advantage, allowing drivers to play more of a role in the performance of their car. Ironically, many informed observers say that tweaking the rules to force drivers to spend more time off the gas (and up on the wheel), could have a positive impact. Whether that tweak includes more downforce, less downforce, more horsepower or less horsepower depends on who you ask. There are individuals with impressive racing resumes on all sides of that debate, which is part of why NASCAR struggles so mightily with the decision on what to do. The good news is that the 1.5-mile ovals have not always been the disappointing, ugly sisters of NASCAR. We’ve raced hard on the intermediate tracks before, and we can do it again. Richard Childress Racing has named Robin Johnson as Vice President of Business Development, overseeing sponsorship sales and partnership expansion, effective immediately. Johnson brings more than 20 years of combined legal and business development leadership to the multi-championship NASCAR team. He most recently served as the General Counsel for the S.C. State Treasurer's Office. Prior to that position, the South Carolina native served in similar business development roles at Front Row Motorsports and Roush Fenway Racing, where he helped build what was arguably one of the most respected sponsorship bases in professional sports during his tenure. "We are very happy to have Robin join our team because he brings a great deal of knowledge and experience to our organization," said Torrey Galida, President of RCR. 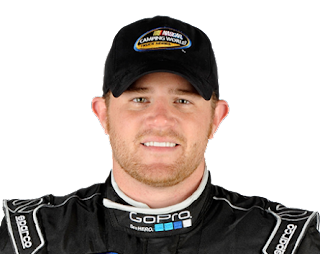 "We are confident he will be a major contributor to our mission in keeping RCR as one of NASCAR's premier racing teams, both on the track and in the marketplace." Johnson is an honor graduate of The Citadel (class of 1986) earning his B.S. degree in business administration. He is also an honor graduate of the University of South Carolina School of Law and is licensed in South Carolina and New York. "I have always admired Richard Childress and his organization, and have marveled at how his team members, business associates and partners are genuinely considered as family," Johnson said. "I'm truly honored and look forward to introducing new partners to the RCR family." 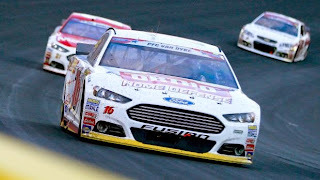 Despite qualifying fourth for Sunday’s Coca-Cola 600 at Charlotte Motor Speedway, Greg Biffle was unwilling to overstate the progress made by his Roush Fenway Racing team in the early weeks of the 2015 season. Asked what was reasonable to expect from him Sunday night, Biffle hedged his bet, saying a finish of 10th to 15th would meet his expectations. The Washington native far exceeded even those expectations, authoring a season-best second place finish that comprised only his second Top-10 showing of the year. It was anything but easy, as Biffle fell back almost immediately at the drop of the green flag, running the race’s second 10 while he and crew chief Matt Puccia danced on the agonizingly fine line between loose and tight. Late in the going – when it came time to make a decisive, late-race strategy call – Biffle and Puccia elected to roll the dice, remain on the race track and stretch their fuel mileage; hopefully to the finish. End result? A solid runner-up finish behind fellow gambler Carl Edwards and a season highlight for a Roush Fenway Racing organization that is badly in need of highlights these days. 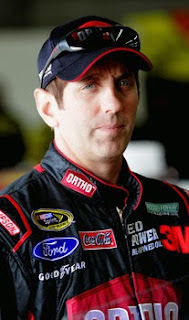 “I’m really excited for the team and the organization,” said Biffle afterward in his customary, pull-no-punches style. “It’s been well documented how bad we’ve been running, and so it feels good. It was kind of funny, I decided if I finished in the Top-10 tonight, I was going to stand on the door top and be all excited and cheer. The veteran RFR driver said he hopes to build on Sunday’s finish, continuing the ongoing process of rebuilding the organization from one of the lowest points in its history. He declined to make any grandiose predictions for the future, cautioning that a one-day test on the Monster Mile earlier this season had failed to produce any major performance breakthroughs. For now, Biffle is happy with his team’s progress and committed to building on the improvements that produced Sunday’s runner-up showing. “We’ve met our first goal -- or at least my first goal -- to run in the Top-10,” he said. “We haven’t been able to do that for a year and a half, and we ran 600 miles (tonight) right in the Top-10. That’s a huge improvement for us, so now we’ll work on trying to get in the Top-5. Just like at Kansas Speedway two weeks ago, Truex was the dominant driver in Sunday’s Coca-Cola 600, leading a race-high 131 of 200 laps and appearing to have the race in hand before falling victim to ill-timed late caution flags that turned NASCAR’s longest race into a fuel mileage battle. Truex was forced to relinquish the lead just 22 laps from pay dirt, heading to pit road and handing the top spot to Kevin Harvick. Harvick pitted a lap later, with Carl Edwards taking command and maintain the lead for the final 21 circuits en route to his first win of 2015. Truex slashed his way back through the field to finish an impressive fifth; but saw no reason to smile about his fourth Top-5 showing of the season. “I thought we had it,” radioed Truex to crew chief Cole Pearn as the checkered flag fell. “I didn’t even know those guys could make it on gas,” he admitted later. “I didn’t know what was going on. We had a great car. We had a chance at (winning) and it stinks to come up short like that on fuel mileage. I’ve never – not once in my whole career -- gained positions on those deals. After a dominant night in Charlotte, Truex now has led 258 total laps this season. That’s exactly 257 more than he managed in all of 2014, and Sunday marked the New Jersey native’s 11th Top-10 finish in 12 starts. An average finish of 8.7 ranks him a strong second in the championship standings behind defending series champion Kevin Harvick, despite trailing Harvick by two in the win column. 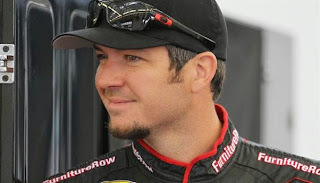 While frustrated with their inability to win, Truex and his Colorado-based team continue to hold their heads high, remaining optimistic and continuing to perform at an elite level. “Close but no cigar” is admittedly frustrating, but it’s a far sight better than a 2014 campaign that saw Truex struggle both on and off the race track. In the last 12 months, Truex has accompanied longtime girlfriend Sherry Pollex through a ferocious battle with ovarian cancer than included radical surgery and a lengthy course of chemotherapy. On race day, he battled through a competitive slump that featured an average finish of 20.2, despite driving for a Furniture Row team that had qualified for the Chase just a year earlier with Kurt Busch at the wheel. That new approach is clearly paying off. Truex has more Top-5 and Top-10 finishes by Memorial Day 2015 than he managed in all of 2014. He and the underdog, single-car FRR team lack just one thing in their drive for a berth in the 2015 Chase for the NASCAR Sprint Cup. 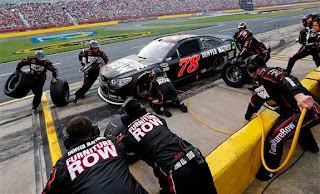 Truex sang a similar tune, serving notice that his Furniture Row Racing team will contend for the checkered flag yet again this week at Dover International Speedway. 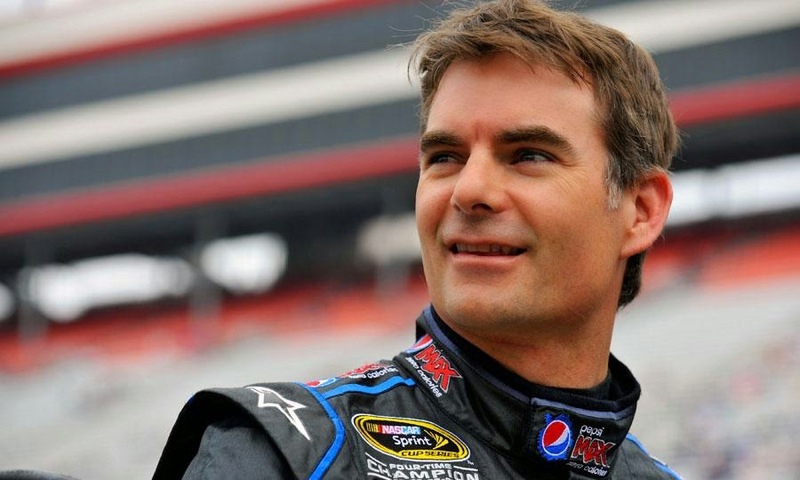 Four-time NASCAR Cup Series champion Jeff Gordon will step out of the driver’s seat and into the TV broadcast booth next season, joining FOX NASCAR as a fulltime race analyst alongside three-time champion Darrell Waltrip and anchorman Mike Joy. 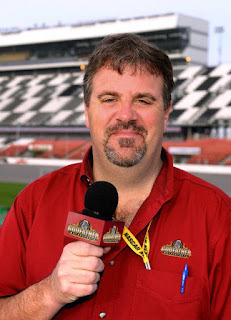 Currently competing in his 23rd and final fulltime Sprint Cup Series season, Gordon served as race analyst for FOX Sports' coverage of three NASCAR XFINITY SERIES races this season, before agreeing to a multi-year contract that begins with Daytona Speedweeks in February of 2016. He will also provide in-car commentary in selected races this season. "NASCAR has provided me so many incredible memories, experiences and opportunities throughout my 23 years as a driver, and I can't wait to start a new chapter in racing with this new relationship with FOX and to be in the booth with Mike and Darrell," said Gordon. "I feel so lucky to be a part of a sport that I'm very passionate about, and now I get the opportunity to share that passion to millions of race fans from a whole new perspective." Larry McReynolds will move to the Hollywood Hotel anchor booth, joining host Chris Myers and analiyst Michael Waltrip. "Jeff is not only a champion but an icon of a racing generation," said Eric Shanks, FOX Sports President, COO & Executive Producer. "We are thrilled he has chosen to become a part of the FOX Sports family and pair his experience with Darrell. Each is credited with helping elevate NASCAR to the popularity it attained in his respective era, and alongside Mike Joy, this duo will treat fans to unmatched insights each and every week." One of the most versatile drivers of his era, Gordon has driven for Hendrick Motorsports since November 1992, winning four NASCAR Sprint Cup Series championships (1995, 1997, 1998 and 2001), 92 races and 80 pole positions. With his first Cup Series championship in 1995, Gordon became the youngest champion (24) in NASCAR's modern era in only his third full season. He sits third behind only NASCAR Hall of Fame drivers Richard Petty (200) and David Pearson (105) in all-time victories, is a three-time Daytona 500 champion and record five-time Brickyard 400 winner. He holds the record for most consecutive seasons with a pole (23), among numerous other accolades. Furthermore, Gordon is NASCAR's winningest road-course driver with nine wins, and is the all-time leader with 12 restrictor-plate track victories. Off the track, Gordon, named one of "NASCAR's 50 Greatest Drivers" in 1998, established the Jeff Gordon Children's Foundation, which supports pediatric cancer research, treatment and patient support programs. He traveled to Rwanda with the Foundation in 2011, and also visited the Democratic Republic of Congo in conjunction with the Clinton Global Initiative. Gordon was honored with the National Motorsports Press Association (NMPA) Myers Brothers Award in 2012, recognizing those who have made outstanding contributions to the sport of stock-car racing. That same year, he received the Heisman Humanitarian Award, established to recognize those in sports who give significantly to communities and improve the lives of others. FOX Sports, which began its FOX NASCAR coverage in 2001, currently is in the first of a 10-year media rights agreement with NASCAR. In 2013, FOX Sports extended its agreement with NASCAR, ensuring the FOX family of networks' broadcast of the first 16 NASCAR Sprint Cup Series races each season beginning in 2015, as well as the first 14 NASCAR XFINITY Series races of the season and all NASCAR Camping World Truck Series events, through 2024. An ESPN Outside the Lines report alleges today that Patricia Driscoll, President of the Armed Forces Foundation and estranged former girlfriend of NASCAR driver Kurt Busch, used foundation funds to pay personal bills, in violation of several laws. ESPN Senior Writer Mike Fish reports that a former AFF employee contacted the Federal Bureau of Investigation recently and provided written documentation of several alleged financial discrepancies involving Driscoll during her tenure as AFF president. In a separate ESPN Inside the Lines investigation, Fish reports that the AFF repeatedly lent money to Driscoll to pay personal expenses, including personal state and federal income taxes. In another instance, AFF lent more than $22,000 to Driscoll for the purchase of Moroccan rugs. In addition to Driscoll's $171,027 annual salary, an attorney for the AFF whistleblower accused the foundation of paying more than $15,000 in legal fees associated with Driscoll's recent child custody battle, along with $6,315.22 for an infra-red security camera shipped to her Maryland residence. In addition, the foundation allegedly paid for Driscoll’s personal vacations to Paris and Morocco. ESPN’s Fish reports that AFF paid the credit card bill for Driscoll's private security business -- Frontline Defense Systems – 17 times in 19 months from 2012 to 2013; paying for massages, personal medical expenses, toy store purchases and grocery bills. While many (and perhaps all) of those expenses were subsequently reimbursed by Busch or his company, Kurt Busch, Inc., it is illegal for a nonprofit corporation to lend money to its officers or directors. 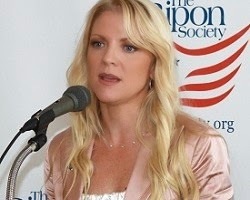 Driscoll subsequently accused Busch of assaulting her in his motorhome at Dover International Speedway on September 26, 2014. She obtained an Order of No Contact against him in Delaware Family Court, but the Delaware Department of Justice declined to file charges, due to a lack of evidence. Jimmie Johnson commented today on the written warning his team received from NASCAR for modifications to the rear fender flares on his No. 48 Lowe’s Chevrolet in last weekend’s NASCAR Sprint All-Star Race. Johnson said he looks forward to this weekend’s Coca-Cola 600 at Charlotte Motor Speedway, saying, “It’s always great to come to a track that you have a great past (and) great history at. Unfortunately, the showing we had in the All-Star race was less than stellar. The confidence we would normally walk in (to Charlotte) with has been diluted with the lack of speed we had. Johnson also commented on the aerodynamic issues that continue to provide a competitive advantage to the leader of a race, saying, “Passing an equal car is really tough, especially from second to first. We keep working on a variety of rule packages to try to make it better, (but) I don’t think we have made it better at some tracks. It is so hard to get around the brutal truth; the car leading has the best aero situation and the rest don’t. The six-time Sprint Cup Series champion said he is still hopeful that additional changes will be made to the 2016 rules, despite recent reports that NASCAR may leave the rulebook alone for a year. NASCAR’s Hall of Fame Class of 2016 was announced yesterday. The five-person group – the seventh in NASCAR Hall of Fame history – consists of Jerry Cook, Bobby Isaac, Terry Labonte, O. Bruton Smith and Curtis Turner. In addition, Harold Brasington won the Landmark Award for Outstanding Contributions to NASCAR. The five inductees came from a group of 20 nominees that included Buddy Baker, Red Byron, Richard Childress, Ray Evernham, Ray Fox, Rick Hendrick, Harry Hyde, Alan Kulwicki, Mark Martin, Hershel McGriff, Raymond Parks, Benny Parsons, Larry Phillips, Mike Stefanik and Robert Yates. Nominees for the Landmark Award included Brasington, H.Clay Earles, Raymond Parks, Ralph Seagraves and Ken Squier. Jerry Cook -- made his name in modifieds, winning six NASCAR Modified championships, including four consecutively from 1974-77. All the while, he was vying with another driver from his hometown of Rome, New York, nine-time champion and NASCAR Hall of Famer Richie Evans, for supremacy in NASCAR’s open-wheel realm. After retiring from racing in 1982, Cook stayed with the sport and helped shape the series known today as the NASCAR Whelen Modified Tour. Cook served as the series’ director when it began in 1985 and remains with NASCAR as competition administrator. Bobby Isaac -- His uncanny skill at drawing speed from a race car puts him on a short list of NASCAR legends. His 49 career poles ranks 10th all time. Maybe more impressive: Isaac captured 19 poles in 1969, which still stands as the record for poles in a single season. Isaac began racing in NASCAR’s premier series in 1961. He finished runner-up in the series standings in 1968 behind NASCAR Hall of Famer David Pearson. In 1969, he finished sixth in the standings after posting 17 wins and those 19 poles. In 1970, Isaac won the championship posting 11 victories, 32 top fives and 38 top 10s in 47 starts. Isaac won 37 races in NASCAR's top series, ranking 19th on the all-time list. Terry Labonte -- Early in his career he was known as the “Iceman” for his coolness under pressure. But his demeanor belied his determination. Later in his career, he became known as the sport’s “Iron Man” thanks to 665 consecutive starts in NASCAR’s premier series, a record which stood until 2002. Winning two premier series championships, in 1984 and ’96, is impressive; the 12-year gap distinguishes Labonte further. No other driver has won his first two championships that far apart and Labonte is one of only six drivers with championships in two decades. Labonte’s stellar career is tucked between perfect bookends – his two Southern 500 wins, in 1980 and 2003. His 361 top-10 finishes ranks 10th all time. O. Bruton Smith -- Executive chairman of Speedway Motorsports Inc., he promoted his first stock car race in Midland, North Carolina at the age of 18. Smith’s early endeavors included operating the National Stock Car Racing Association – seen as an early competitor to NASCAR – and building Charlotte Motor Speedway. CMS became the foundation of Speedway Motorsports Inc., which currently owns eight NASCAR tracks hosting 12 NASCAR Sprint Cup Series events, the NASCAR Sprint All-Star Race and additional high-profile motorsports activities. Smith took SMI public in 1995, the first motorsports company to be traded at the New York Stock Exchange. He was inducted into the North Carolina Business Hall of Fame and National Motorsports Press Association’s Hall of Fame, both in 2006; and the International Motorsports Hall of Fame in 2007. Curtis Turner -- Called the “Babe Ruth of stock car racing,” Turner was among the fastest and most colorful competitors in the early years of NASCAR premier series racing. Turner competed in NASCAR’s first “Strictly Stock” race in 1949 in Charlotte and was the only driver to win a NASCAR premier series race in a Nash. He posted his first of 17 career victories in only his fourth start on Sept. 11, 1949, at Langhorne (Pennsylvania) Speedway. Although many of Turner’s victories came on short tracks and dirt ovals – much of his career pre-dated NASCAR’s superspeedway era – he won the 1956 Southern 500 at Darlington Raceway and the first American 500 at Rockingham Speedway in 1965. He remains the only series driver to win two consecutive races from the pole leading every lap. He also won 38 of 79 races in which he competed in the NASCAR Convertible Division. Harold Brasington -- A South Carolina businessman, Brasington believed in Bill France’s fledgling NASCAR business, created the sanctioning body’s first superspeedway – a one-of-a-kind egg-shaped oval, paved on an old cotton and peanut field. Expecting 10,000 fans to show up at Darlington Raceway’s first competition on Labor Day of 1950, 25,000 spectators showed up for the inaugural Southern 500 – NASCAR’s first 500-mile race. Darlington's success inspired Brasington to extend his reach north -- to North Carolina. He employed his track building and promoting expertise, helping in the creation of Charlotte Motor Speedway and building North Carolina Motor Speedway in Rockingham, North Carolina. Next year’s Induction Ceremony is scheduled for Friday, Jan. 22, 2016, broadcast on NBCSN and SiriusXM NASCAR Radio, live from Charlotte, N.C.